Songify is an iPod Touch application that has been released into the app store following the success of the Songify videos on YouTube, Songify basically is an app that will allow you to create a song out of anything you say or sing. The app is very simple in the way that it works and will simply record your voice and turn it into a song with the use of Autotune; much like on the Songify YouTube videos. 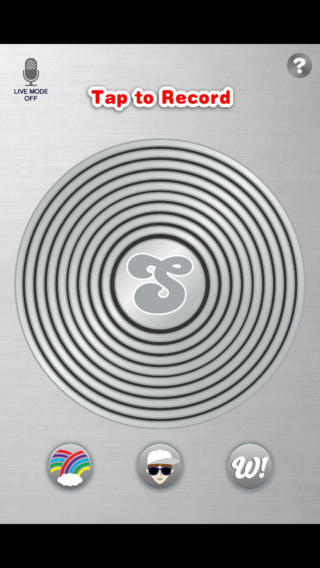 When you launch the songify iphone app, you will be presented with a big button which will begin the recording. You will also have three buttons at the bottom of the screen. The first button will allow you to access any of the songs that you have previously recorded and saved. The second will allow you to choose the song that you want to use as a base for your song and the third will show you other peoples songs. The songify by smule app is pretty simple in the way that it works and once you hit record, it will record your voice and then turn it into a song. Once you have the song, you will have the ability to save it, email it or even share it on popular social networks. You will find that you are able to have hours of fun with this app and the great thing about it is that it works just as well on the iPod Touch as on the iPhone as it doesn’t require Wi-Fi or 3G.